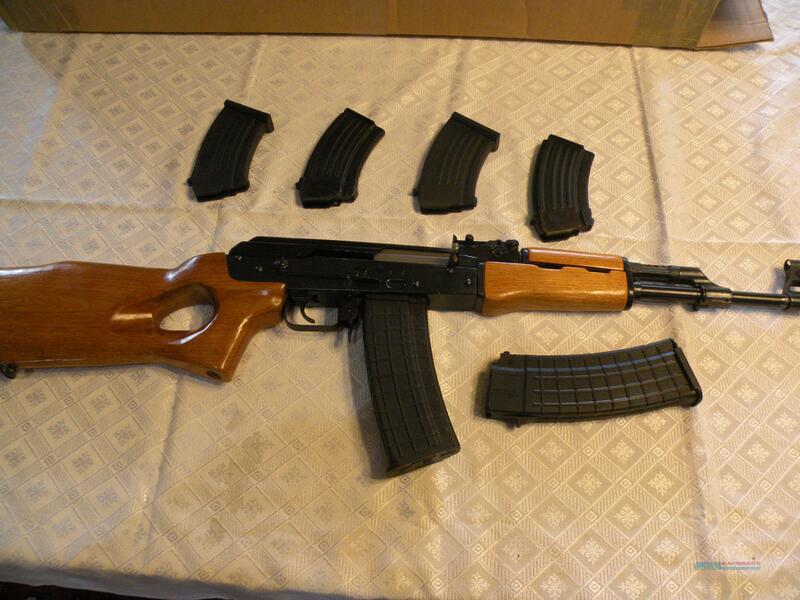 Description: Nearly impossible to find Norinco AK BWK-92 Carbine in .223/5.56. The Norinco products are highly upgraded with a Milled Receiver and hardened bolt. I have included several factory 10 round magazines but the rifle will accept high capacity magazines and drums also. I am including two 30 round magazines. Note that its best to use magazines designed for the higher quality milled receivers rather than the lesser quality stamped receivers. In addition to the provided 30 round mags I have available 3 Circle 10 Bulgarian mags. These will be included at the Buy it Now Price. Norinco products are very high quality but had been banned from import.